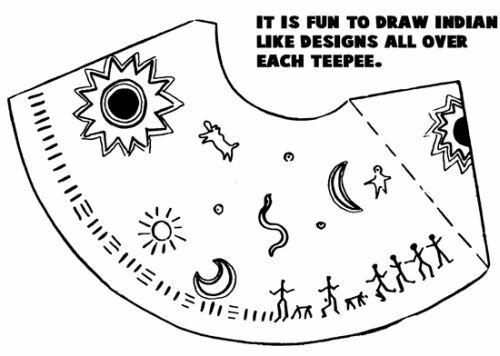 It is fun to draw Indian like designs all over each teepee. 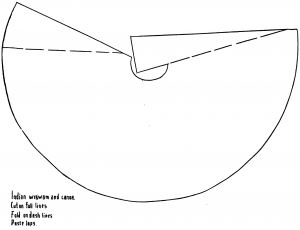 On a table, place a mound of course sand and gravel with rocks, large and small. 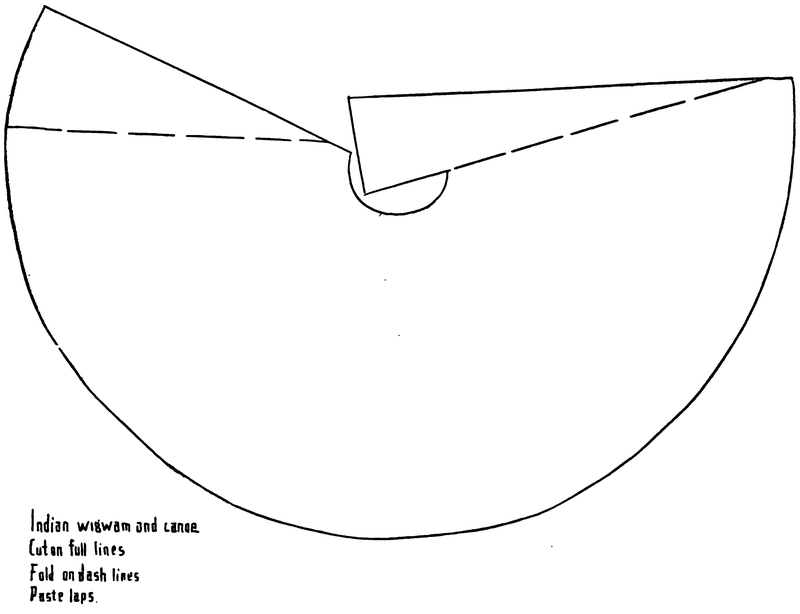 The rocks can be placed to hold the sand on the table. 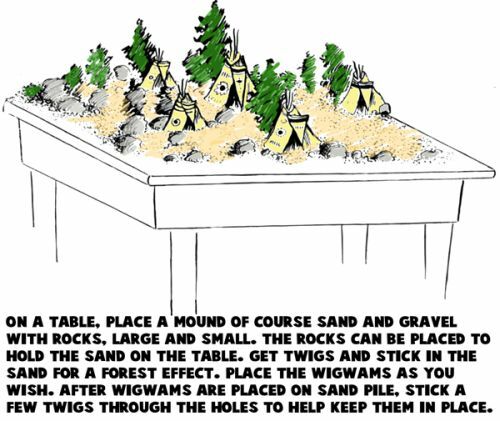 Get twigs and stick in the sand for a forest effect. Place the wigwams as you wish. 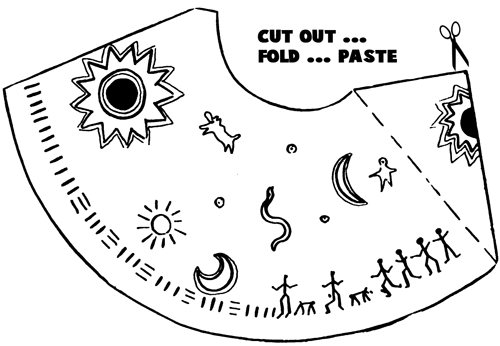 After wigwams are placed on the sand pile, stick a few twigs through the holes to help keep them in place. Wow, what an amazing Thanksgiving decoration, huh?! 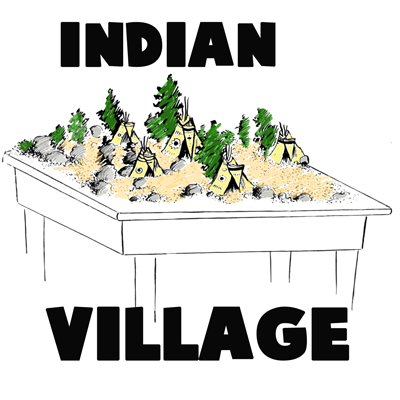 Can you believe just from 4 easy steps you were able to create this Indian Village? You did an awesome job! !